grandma's cookie jar: October is National Popcorn Poppin' Month! just as grandma's cookie jar should always be full of good things, this blog will be full of good ideas, information, activities and reviews of things to help grandma . . . and grandpa, mom and dad too . . . pass on a heritage of faith to the children in their lives! October is National Popcorn Poppin' Month! Who knew there were so many months which celebrated specific foods???!!! Well, if any food is to be celebrated, popcorn should definitely be on the list! I LOVE popcorn! Popped, caramel, it really doesn't matter, I LOVE popcorn! I thought it would be fun to share some popcorn fun facts with you which I found on-line - did you know . . . Compared to most snack foods, popcorn is low in calories. 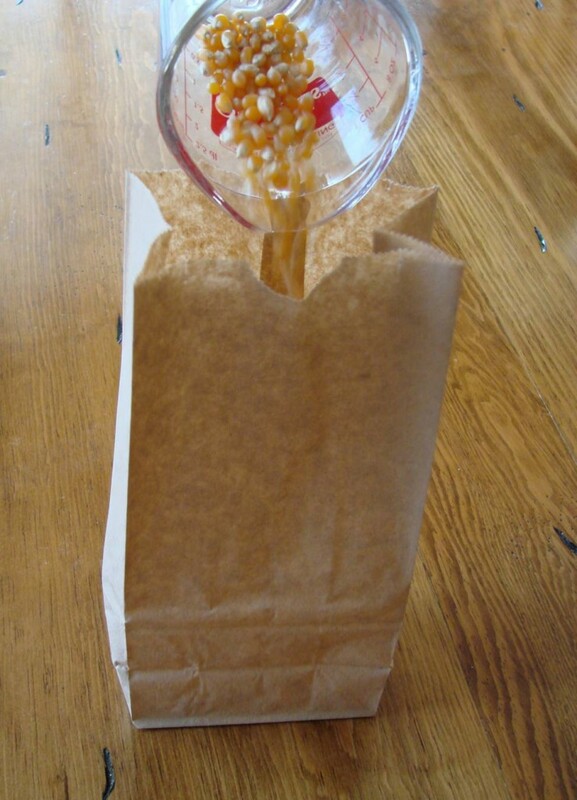 Air-popped popcorn has only 31 calories per cup. Oil-popped is only 55 per cup. Popcorn is a type of maize (or corn), a member of the grass family, and is scientifically known as Zea mays everta. Of the 6 types of maize/corn—pod, sweet, flour, dent, flint, and popcorn—only popcorn pops. Most U.S. popcorn is grown in the Midwest, primarily in Indiana, Nebraska, Ohio, Illinois, Iowa, Kentucky and Missouri. Most popcorn comes in two basic shapes when it's popped: snowflake and mushroom. Snowflake is used in movie theaters and ballparks because it looks and pops bigger. Mushroom is used for candy confections because it doesn't crumble. Popping popcorn is one of the number one uses for microwave ovens. Most microwave ovens have a "popcorn" control button. The world’s largest popcorn ball was created by volunteers in Sac City, Iowa in February, 2009. It weighed 5,000 lbs., stood over 8 ft. tall, and measured 28.8 ft. in circumference. If you made a trail of popcorn from New York City to Los Angeles, you would need more than 352,028,160 popped kernels! Around this house when we watch a movie - particularly with the grandsons - I often hear things like, "I wonder how long it will be before I smell popcorn?" Josiah said this one day and of course, the answer was, only a couple minutes! I couldn't resist making it for him! Caleb is a fan of popcorn, too . . . whenever I pop up a bowl, both boys will climb into their poppa's lap to eat popcorn with him while they watch the movie! Of course, when their bowl is empty, I often end up with sweet boys climbing into my lap to share my bowl! Which, of course, is absolutely fine! There are lots of ways to make popcorn - in a pan on the stove, hot air popper, regular electric popper or microwave. Last February I shared a recipe for making your own microwave popcorn - you'll find it at this link. I also shared a tasty recipe for caramel corn, which you will find at this link. My favorite popcorn is white, red or blue, popped and topped with butter and salt! Yum! My husband and grandsons enjoy Kettle Korn! What is your favorite way to enjoy popcorn? Sam Wu Is Not Afraid of Sharks! Change the lives of the children in your church - equip grandparents! Grandparents Can Make a Difference! Deeper In 4 Grandparents & Parents, Too! Science, the Bible & Fun! 52 Weeks of Fun & Bible Learning for the Whole Family! It Is Impossible to Spoil Grandchildren! and Other Important Facts for Grandparents and Parents, Too! Be An Intentional Christian Grandparent! Pass On Your Faith! Special Christmas Give-Aways Begin Tomorrow! grandma's cookbook - Christmas Cookies! Get Ready for the Fun to Begin!!! Special Christmas Give-Aways - Wiggimals Pig! Today is National Make a Difference Day! Special Christmas Give-Away - Audrey Bunny! Special Christmas Give-Away - Red Octopus Puppet! Today is Chocolate Cupcake Day!!! Christmas Manners with Maralee McKee! crafting with grandma - Keyboard Key Ornaments! grandma's cookie jar - Baked Apple Cider Donuts! Thank You for Praying - Amber was Found Alive! It's Do Something Nice Day - So, Let's Be Nice! Family Fun - Disney On Ice! crafting with grandma - the Thankfulness Tree! October is National Pizza Month! Free Fall Fun from Snapfish! Today is National Homemade Cookies Day! I am a grandma whose heart has been "stolen" by my three grandsons - I love everything about being "grandma"! To see more about me, check the "about grandma" tab at the top! Lynda Freeman is a participant in the Amazon Services LLC Associates Program, an affiliate advertising program designed to provide a means for sites to earn advertising fees by advertising and linking to amazon.com. The FTC requires people, such as myself, who write blogs and review product to disclose where the product came from and if it was given to them for review purposes. All curriculum, resources, items for my "Grandma's Pick" and items I review for specific posts/articles are given to me by their publisher and/or manufacturer for free for review and/or give-away purposes. I do not work for any publishers - or other companies - and will do my best to give an un-biased review of the items I review. After my review, I give most of the curriculum to churches to use in their ministries and have drawings among the people who have "liked" and or "followed" my blog with the facebook and follow buttons on the blog for the "Grandma's Pick" give-away items. I am disclosing this in accordance with the Federal Trade Commission's 16 CFR, Part 255: "Guides Concerning the Use of Endorsements and Testimonials in Advertising"